I’ve been aware of Anker’s sister brand Eufy for sometime, which focuses on health and lifestyle products, yet I have not been able to find a product that I both required and that would not empty my wallet at the same time (sorry RoboVac). Luckily thanks to a recent 20% sale and an interest in learning more about my health, the BodySense Smart Scale has graced my doorstep. Robust build quality with sleek-stylish two tone glass and plastic construction should give years of use and fit any surrounding. So for those of you like me, that were curious as to your fat vs muscle percentage but didn’t have the foggiest how to go about it, problem sorted. Once out of the box and the included 4AAA batteries are in place, the scale is good to go for measuring your weight. 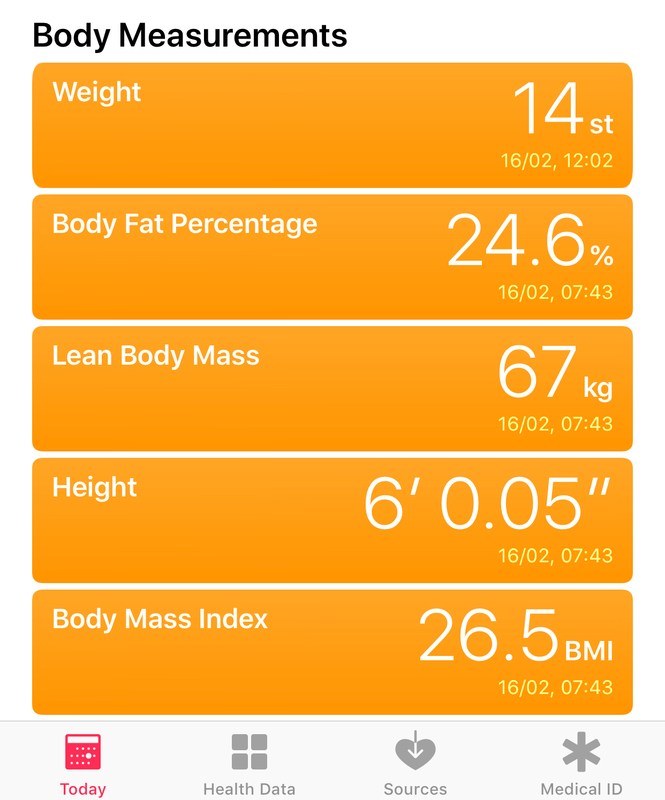 Depending on your location (or just unit preference) you can set the weight measurement to be shown in kilograms, pounds or stones via a push button no the rear of the scale (plus customisation in the app for recorded data). The more than adequate bright LED display will, however, only display a conventional weight measurement. If you are wanting to make full use of the scale's features, some additional setup is required. Firstly you will need to download the 'EufyLife' app from your relevant Appstore (Apple iOS 8+ and Android 4.3+ supported), complete a quick registration via the app and then enter some basic personal stat's which will be used in conjunction with the scale to determine how your BC results add up. Once you've setup the app and turned on your device's Bluetooth connection, the scale will be detected and pair from within the app automatically (don’t try via the bluetooth menu). The scale and app support up to 16 different users (large families sorted) which can either be on the same device or separate. Note: for body composition (BC) measurements to be taken you must be barefoot, socks are fine for just weight but skin contact is required for 'smart features'. Results can vary depending on factors such as recent exercise, alcohol consumption etc. Manual gives a full list. Once your good to go app and battery wise, simply step on the scale and view your weight live in the app which is followed by your BC shortly after (about 5-10 seconds). The results are easy to understand for any age or tech level thanks to a intuitive colour system of blue (low), green (normal), yellow (high) based from your statistics entered (red also present on overall weight to indicate excessive). Values and/or percentages (depending on the measurement) of your BC are also provided for those who want more than just a quick reference result. Expanding each measurement in the app gives a short description to help you better understand what the measurement actually relates to. Data that is collected can be easily shared with other supported health apps such as Apple Health, to keep your health data in a single location but my preference so far as been for Eufy's own offering for trend tracking. Scale does not play well on short pile carpets or bathroom mats, which other digital scales have no issues with. Weight measurements can be impaired by several pounds but app does warn about the drastic change in weight when this happens. For my first smart scale I'm very impressed, not only at being able to visually track how my progress in the gym is translating on the scales but at the build quality of the scale and how intuitive and easy to use the app is. Yes they are a couple of models on Amazon which are a tad cheaper but having no experience with the brands I would find it hard to recommend them. Will certainly be keeping my eyes open for future Eufy products as or if they make it to the UK. Great review ndalby I'm very pleased with mine and really recommend this smart scale to others. That's a really detailed review! Nice review. I had contemplated getting one but my issue is that none of the bmi scales have ever been able to register my body or fat content. Nor have they ever been accurate to register my weight.....guess I'm too fat haha. But on the real, it always bothered me to know I had to use an old school scale to properly measure my weight since digital ones always like to give false readings. Great review @ndalby. I've been curious about these so called smart scales. I want one now This would be a great way to also track your weight loss progress when you're on an exercise regiment. It would be a great motivator. Thanks for the review. Scales and me are a mixed bag. I'm the same weight (130-133 lbs) nearly every time I check...a pound or two variation and have been that way for at least the last 35 years. For me, a scale and weight recording/chart plotting would be like watching a test pattern on TV (for those that pre-date cable and 24-hour programming). Thanks. You going to put a review when used? Curious whether anyone has this working with the Apple Health App. I like the Eufy Life app, but really want my stats to also sync with Apple Health. Doesn't seem to work for me. When I go to Apple Health, it shows up as a data source, but there is nothing to set/allow. @Cobus_Theunissen Yes, I use it with the Apple Health App. Check your setting. Mine wasn't syncing my data until I realized that you had to go into the settings and authorize it to sync. Yes, it all works well.